PowerUp Toys today unveiled the next generation of paper airplanes with the Powerup FPV - the only first-person view paper airplane drone. Putting flyers into the cockpit of their own creation, Powerup FPV embeds a camera to transmit a live video stream of the flight experience straight to the user's smartphone with a range up to 300 ft. To make video streaming a reality, the company has partnered with Parrot, makers of the AR.Drone and Minidrones, to leverage their expertise in WiFi streaming and drone controls. PowerUp will be launching their Kickstarter this November. Giving users a truly unique flight and viewing experience, all based on a paper airplane. PowerUp FPV can live stream the flight straight to a user’s Google Cardboard or other smartphone-powered head-mounted display (HMD). Users can control their flight using their HMD, or use the PowerUp App’s on-screen gamepad to control the drone. In addition, the fully rotating wide-view camera lets users capture their flight while looking forward from the cockpit, off the wings; or even take the ultimate “selfie” with a rear-view shot as users launch their planes and share them via WiFi straight to YouTube, Facebook, Twitter or favorite video sharing service. PowerUp FPV will be available for preorders this November on Kickstarter, and will be available for general retail Summer 2016. The product is currently priced at $199 USD, with both early-bird and general discounts offered for Kickstarter backers. 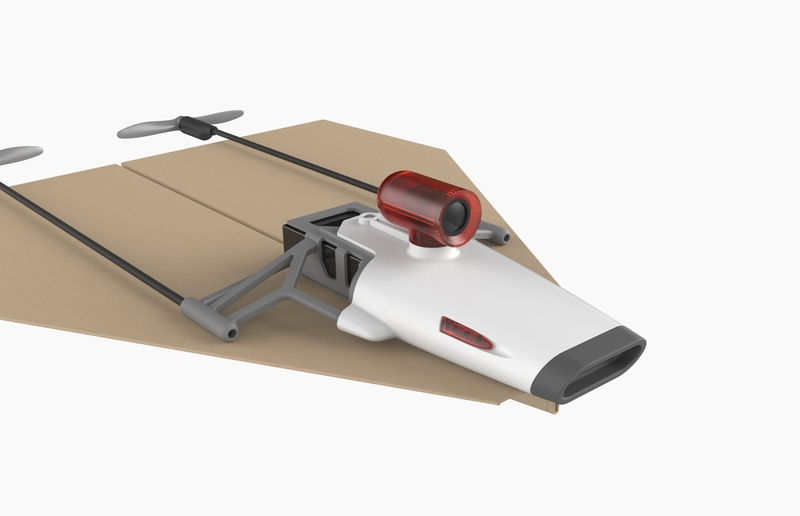 The project follows the company’s wickedly successful campaign for the PowerUp 3.0 Smartphone-Controlled Paper Airplane, which is still the most funded campaign for “flight” projects. WiFi live streaming with range of over 300 ft.